4. Which employee did you feel most connected to? Tim: "I think it may be a tie between Meika and Justin. Meika sacrificed the comforts of a 9-5 corporate job to pursue her dream of a life in the culinary world. 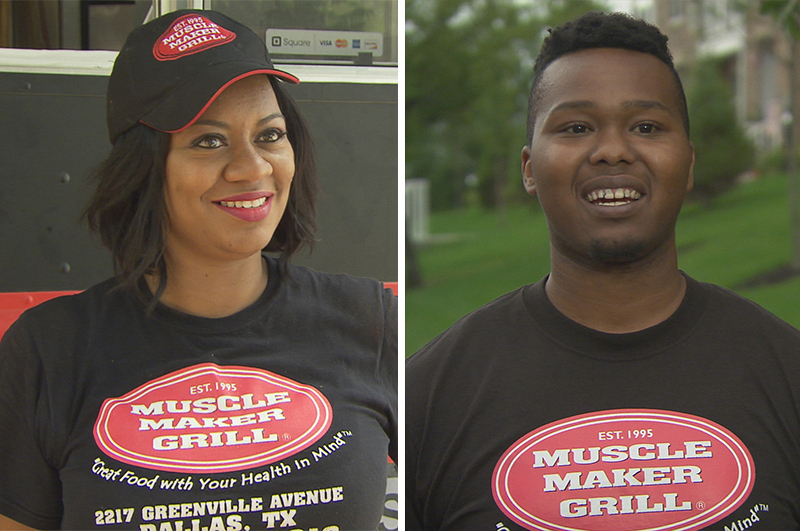 She had great ideas for how to better market our Muscle Maker Grill food truck program, which I think will be a big part of our growth going forward. Also, I saw a lot of myself in [Justin] as a young college student who was trying to figure out what I wanted to do with my life once school was completed. His passion for our brand at school in West Virginia and his commitment to higher education while facing tremendous odds was very inspiring. To be able to meet these two made doing Undercover Boss a once-in-a-lifetime experience for which I will forever be grateful."